Click the button below to add the Loss and Thin Black Hair Treatment to your wish list. Relaxers, perms, bleach, hair dye and any other chemicals applied to hair may cause it to dry and become brittle over time. Over processed hair can lead the shafts of the hair to lose its strength, which leads to breakage, split ends, and of course, loss of moisture. This product penetrates deep into the scalp and hair to strengthen, repair and protect hair to make it soft, shiny and manageable. The Loss and Thin Black Hair Treatment is made with pure ingredients that restore and lock moisture to help restore its over-processed state. This lightweight serum will assist in thickening, strengthening, and preventing damage within the first month of use. Free of silicone, alcohol, artificial colors and fragrances. A lightweight formula that will not weigh down hair and adds noticeable volume. Made with exotic ingredients that will nourish the scalp and hair for healthier strands. This product improves the appearance of hair by reviving and restoring the hair’s elasticity and resilience. Argan Oil, sometimes called "liquid gold," is one of the most sought-after ingredients for its healing and moisturizing properties that make hair shiny, silky, soft and strong. Argan oil has a high content of vitamin E and fatty acids. Babassu Oil extracted from the seed of the Babassu tree is lightweight, has anti-inflammatory properties, and has a less distinctive smell than coconut oil. This oil prevents hair breakage and damage. Black Currant Oil is a very powerful nutritional oil that has many health benefits. 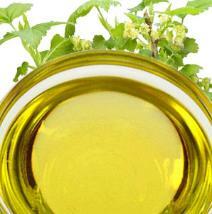 This oil has many fatty acids and antioxidants that promote stronger hair. Rosehip Oil is a lightweight oil that quickly absorbs into the scalp, keeping it well moisturized. Due to its excellent source of essential fatty acids, this oil repairs and renews damaged hair. Hazelnut Oil works to alleviate dry, damaged hair, leaving a softer feel. It contains potassium, calcium, and magnesium. Meadowfoam Oil helps condition hair by hydrating the follicles. Geranium and Chamomile help reduce dryness for healthy looking hair. Coconut Oil is an essential key component that's added to this product to restore each strand of hair, so that it may regain its natural shape and form. With the help of Coconut Oil and Kukui Oil, your hair will have the shine and moisture it needs, providing you with a healthy, nutritive sheen. Spray the serum onto your scalp hair from 8 – 10 inches away. Massage well into the scalp. Leave in for 2 to 3 hours or overnight. Shampoo, condition, and style as usual. Great as a leave-in product. This product can be used as a leave-in serum. We suggest that you apply a small amount into your palm and concentrate on the ends and scalp. This product can be used as a sealant. After you have applied your water-based moisturizer, you can then add this product as a final step to keep moisture in your hair for an extended period of time. This can also be used as a hot oil product. Please place in a separate container and heat up a bowl of hot water and let it sit for about 1 ½ to 2 minutes. Once warm, place on freshly shampooed hair, let it sit for about 5 to 10 minutes, then rinse and condition as usual. For maximum results, place a shower cap on to get the full effect of the product. Try this product with our Vinegar Nutritive Rinse Cleanser. This combo will give you soft, shiny hair that is noticeably thicker. After about four weeks, most people notice increased hair growth. If you are losing hair and you are looking for a shampoo and conditioner, we suggest checking out our Hair Therapy Shampoo and Conditioner. 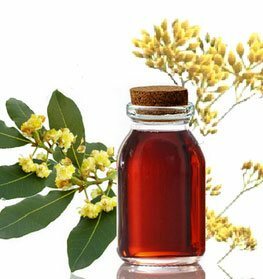 Argania Spinosa (Argan) Oil, Attalea Speciosa (Babassu) Oil, Olea Europaea (Olive Fruit) Oil, Ribes Nigrum (Black Currant Seed) Oil, Rosa Rubiginosa(Rosehip) Oil, Limnanthes Alba (Meadowfoam) Oil, Cucurbita Maxima (Pumpkin Seed) Oil, Centella Asiatica (Gotu Kola) Extract, Paullinia Cupano (Guarana Seed) Extract, Persea Americana (Avocado Fruit) Oil, Aleurites Moluccana (Kukui Nut) Oil, Cocos Nucifera (Coconut) Oil, Corylus Avellana (Hazelnut) Oil, Vitis Vinifera (Grapeseed) Oil, Citrus Sinensis (Orange)Peel Oil, Anthemis Nobilis (Chamomile) Oil, Salvia Sclarea (Clary Sage) Oil, Rosmarinus Officinalis (Rosemary)Oil, Lavandula Angustifolia (Lavender) Oil, Cananga Odorata (Ylang Ylang) Oil, Pelargonium Graveolens (Geranium) Oil, Camellia Sinensis (Green Tea) Extract, Urtica Dioica (Nettle Root) Extract, Tocopherol (Vitamin E). This product is the best! I love this product so much. It has given my hair thickness, softness and strength. I have recommended this product to my mother who has thinning hair and she sees the difference in her hair as well! Please do not discontinue this product. It has helped me with my very dry broken hair to restore very shiny healthy hair. I have used it for about 3 months and have seen that my hair has grown significantly. I advise my boyfriend to try this product because he has been losing hair ever since he has been stressing about a new job promotion several months ago. He wasn’t too convinced about the product but he decided to try this either way. My boyfriend and I are amazed by how much his hair has grown. He has been using this product faithfully and will continue to try more of your products. Excellent product. Applied to almost bald areas of my scalp and began see fuzz like growth results in about two weeks. It's been about six weeks since I began the process and hair is still filling and growing. My hair use to fall out just by lightly pulling on it. It was so fragile. Now it has become much stronger and getting thicker than before. I may have a ways to go, but this is a vast improvement. This product has made my hair frizz free and silky smooth. I suggest following the directions and using a small amount to not get the greasy effect. I love that my hair has gotten thicker as well. Love the smell and feel of this product. I have used this product for about 6 months on my armpit length relaxed hair. My hair was thinning, limp and has no movement before using this product. My hair has gotten fuller, has a bunch of body and has grown about 2 ½ inches. I use this product religiously and will continue using this product. The Loss and Thin Black Hair Treatment has changed my life. I have always had fine hair but it was always thick and long. About two years ago, I lost my hair due stress and having a child. My long thick mane became a thin see through mess. I was sadden that I lost so much hair and tried everything in regards to products for regrowth. Your product has been a godsend. I have seen this hair product has growth healthier and stronger than I had it before. I've been using this product for little over 2.5 weeks and its working so far. I hope it continues to keep my hair healthy looking and help provide breakage protection. This product has truly helped to moisturizer and soften by 4B/C natural black hair. It actually penetrates my hair shaft, and doesn't just sit on it. My hairdresser was so pleased with the product and how it made my hair feel. I love the smell. It hair feel so soft and manageable as well as thicker. I have used numerous brands castor oil etc. with no success. I continued to stress my severe hair loss problem. I spoke with my mother and she showed me the product she used. I began using the Loss and Thing Black Treatment over a 7 months ago and my scalp is full of thick BEAUTIFUL hair. I highly recommend it to anyone who is suffering from balding, dry scalp or any severe hair issues. I always use products right off the shelves from CVS etc. I was use to the lovely artificial smells in those oils hair care products. This hair treatment took a little bit getting use to. Regardless, the product works. My hair has never had this much volume and felt thick. I have been a customer of just nutritive for the last 4 years. I have tried numerous products from them and have always been happy. This one is by far my favorite for my hair type. Before using this product my hair was falling out and it was very damaged. This has rejuvenated my hair follicles and leaves my scalp and hair moisturized and nourished. I love the all natural ingredients that are used which makes a big difference in quality. Yes, $40.00 for a very small bottle. I was worried in the beginning, that this would not be enough for any results. I was wrong, you will not have to apply a lot and it goes a long way. 3 months later and people continue to ask me at work what I am using. I wish the bottle was bigger for the large price tag but nothing is perfect. I was not sure about my purchase so I contacted their customer service and their knowledge and expertise is what sold me. My scalp feels nourished and my hair actually looks “fuller”. Argan oil, black currant oil and much more. It's incredible what is in this little bottle. I was skeptical with my first purchase because I had never heard about Just Nutritive. Well, 4 bottles later and a fuller head of hair that continues to look better every month.